There are many ways to travel to our beautiful country. In this Getting to Scotland Guide we give information about travelling to Scotland by Ferry, Plane, Car & Motorhome, Coach and Train. 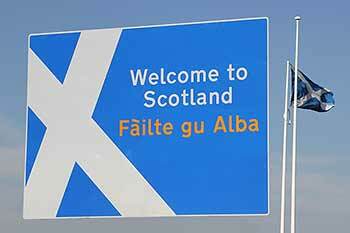 This guide and subsequent links will give you all the information you need to prepare your journey to Scotland. Needless to say that most of these service are best booked well in advance. And also, the sooner you book the cheaper your journey will sometimes turn out to be. Once you have arrived in Scotland you will need information on how to “Get Around Scotland”. In our “Get Around Scotland Guide” we will tell you more about driving single track roads, Car Hire, Minibus Tours, Bus services, Train network, Island hopping, Disabled Travelling, local ferries, Motorhomes, roads, regulations and we will offer some great driving tours in some of Scotland’s most beautiful scenery. Enjoy your journey to, and stay in our stunning country. Ferries are available from Amsterdam (IJmuiden) to Newcastle with DFDS Seaways with Edinburgh about a 120 mile drive away. 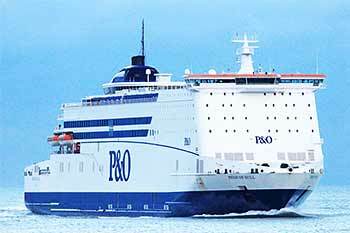 Another option is to get a ferry from Europoort/Rotterdam or Zeebrugge to Hull with P&O Ferries, Hull is about 260 miles from Edinburgh, so you would have to drive if you take this option. If you don’t mind to arrive further south in England you can also use Hoek van Holland to Harwich with Stena Line or even further south from Calais to Dover which is operated by various ferry companies. If you prefer not to use a ferry or flight the Euro Tunnel is an alternative. From Belfast you can take a ferry with Stena Line to Cairnryan, and from Larne you can board a ferry to Cairnryan or Troon. 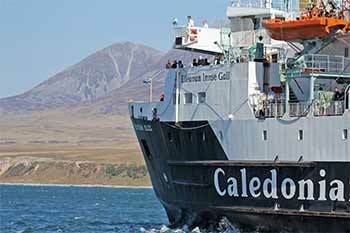 Another option is to sail with Kintyre Express from Ballycastle to Campbeltown. Find great deals for the above options with Ferrysavers. Aferry has a comparison site where you can find the best deals for EU Continent to UK Mainland ferry crossings. Just visit www.aferry.co.uk for the cheapest ferry fares. Flying to Scotland from the UK and European Continent is the fastest way to get here, Skyscanner is a great website to locate the correct flight for your trip, with many airlines offering budget fares if booked in advance. Another route to Scotland from England would be to drive, but if you consider the cost in fuel depending on how far south you live, it could be worthwhile flying to Scotland and arranging car hire for your arrival, again if booked in advance this could save you many pounds. If you are flying to Scotland from North America you will have a choice between Edinburgh airport and Glasgow airport, but you could also find great deals if you first fly to London, Manchester or Dublin and purchase a connecting flight to Scotland. 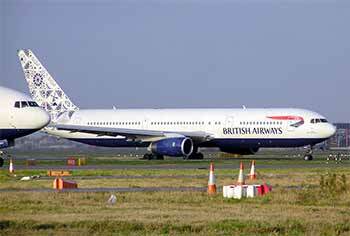 Airlines travelling direct to Scotland include Virgin Atlantic, US Airways, Canadian Affair, United and Air Transat. If you are flying from the East coast of America expect a flight time between six to seven hours, from the west coast of America expect a flying time of nine to eleven hours flying time. The best way to get to Scotland from Asia New Zealand and Australia is by flying to the Middle East and getting a connecting flight to London, Glasgow or Edinburgh. stop over’s can be frequent when flying to the UK so you could have a night in Dubai, Abu Dhabi or even Hong Kong. Airlines flying this route include Emirates, Qatar Airways and Etihad. There are many motorway networks to Scotland’s great cities such as to Glasgow, Edinburgh, Perth and Stirling but further North you will find yourself driving mostly on A roads. Fortunately some of these A roads will be dual carriageways and they can help reduce your journey time. If you are travelling to more remote areas give yourself more time as progress on some of these roads can be very slow at times with only few opportunities to overtake slow moving traffic. Scotland is one of the few countries that still has single track roads, mostly found in the north, west and on the islands. Such a road consists of one driving lane with passing places every 30 to 80 meters. The passing places can be recognised by a sign, poles or sometimes not at all. With courtesy and common sense these roads can be fun to drive. Don’t forget to let other drivers overtake when they are driving behind you, they probably know the road better, drive there for their living, or just have a bit more hurry. See our guide for Driving Single Track Roads in Scotland. Getting to Scotland with a motorhome is a great way to discover this magnificent country. We have made a comprehensive Guide about driving around in Scotland with a Motorhome so you can get prepared for a great holiday. the cities of Glasgow and Edinburgh are both served by frequent direct train services from London and other cities in England. The travel time from London varies from 4.5 to 7 hours. Virgin Trains East Coast depart from London King’s Cross station and run up the east coast via Peterborough, York and Newcastle to Edinburgh. Some travel onwards to Glasgow, Aberdeen or Inverness. Virgin trains do the west coast from London Euston via Carlisle to Glasgow. Caledonian Sleepers are overnight train services running between London and Scotland. You can book up to 12 months in advance of your travel date. Not all train services start in London. Virgin for instance runs services from Birmingham to Glasgow or Edinburgh and CrossCountry links places like Cardiff, Bournemouth and Brighton with Edinburgh, Aberdeen and Glasgow via Birmingham. Travelling to Scotland by coach can save money but journey times will be (much) longer. Nowadays the coaches are quite luxurious and these long-distance coaches are equipped with food and toilet facilities and some even offer Wi-Fi access. Much like the Caledonian Sleeper Train there is also an overnight sleeper coach service operated by Stagecoach. 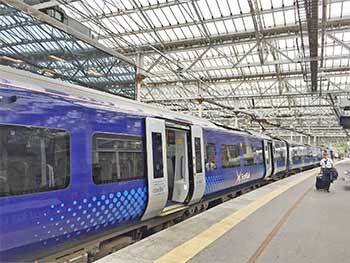 This service runs 7 days a week between London and Glasgow. 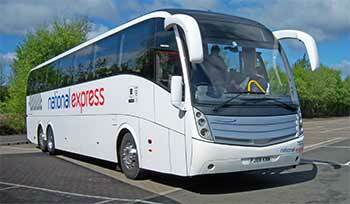 Most coach services to Scotland are operated by National Express. They service the cities of Aberdeen, Inverness, Edinburgh and Glasgow. Megabus also runs coach services to several Scottish cities. Traveline offers full details such as fares, routes and timetables. Our changeable weather can have a huge impact on your journey, especially during the winter months, from November to March. There can be blizzard like conditions on the higher roads in the highlands sometimes and often flooding occurs during heavy rain. Also, high winds and wave conditions can cause widespread disruptions within the ferry network resulting in cancellations or diverted ferries. It’s a good idea to check some of the resources below before you journey to Scotland. 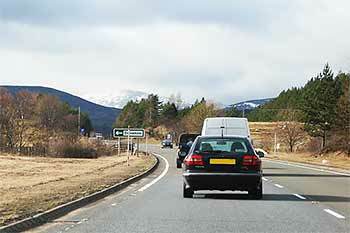 On the Traffic Scotland website you can get live traffic information. They have listings of traffic incidents, roadworks and keep you up-to-date during adverse weather conditions. For the latest Ferry Info visit the Calmac Status Page where you can check if your ferry is running according to schedule. Our weather page has information about climate and weather averages as well as a weather forecast. The MetOffice has a page on their website with Weather warnings. A useful page you can use to check for severe weather several days ahead. Most of the websites above have apps for Smartphones or you can receive updates via their Twitter feed.